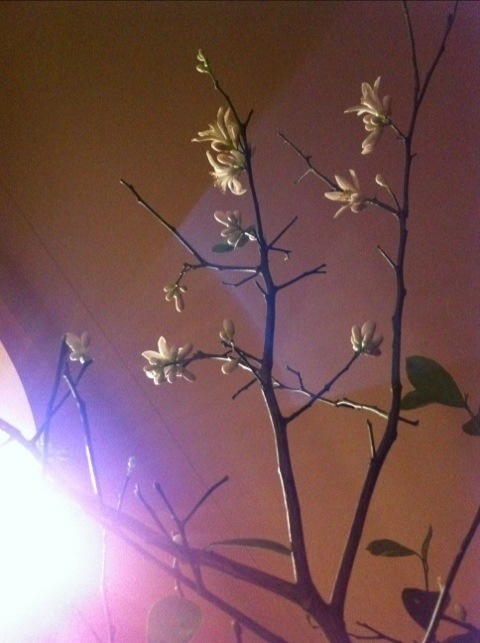 I smell the inimitable scent of white lemon blossoms in my home on this cold December night. It balked when I first invited it in but now, after I had accepted that it might never bloom again, it stayed true to its own spirit and lifted and surprised mine. I have only gotten my meyer lemon tree to bloom once. But it produced no fruit. I hope fruit develops on yours. Look forward to reading about the progress!